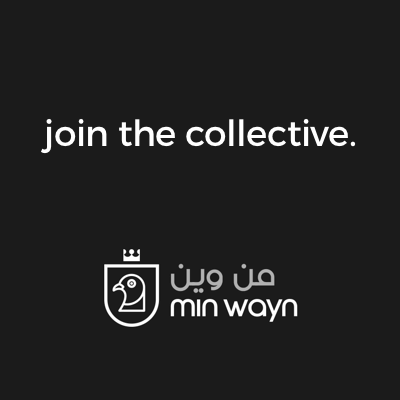 min wayn - min wayn connects independent designers with new market opportunities all around the world. new market opportunities all around the world. solutions in front of like-minded channels + customers. we work hard to foster + promote stellar design. technology innovation + cross-cultural collaborations. we connect you to the world's brightest entrepreneurial companies, encompassing product development, industrial design, software engineering, internet of things (iot), adtech, and content marketing. we mine the globe to identify + procure awesome products that are not yet available in your market. we assemble multidisciplinary groups of creators from our partner network to co-develop new consumer products. we organize + host special events built on collaboration with international musicians, entertainers, chefs + other influencers. we are experts in international business development, introducing products, services + entire companies to new regions. we also help brands expand their online presence, helping them cultivate robust ecommerce solutions + mobile applications. we promote your products through our distribution channels with minimal business risk to you. we leverage local business connections in global markets to devise custom strategies tailored for market penetration. we showcase + sell partner prodcuts in a cohesive + sophisticated setting. we work with complementary partners on the development of new consumer products + handle the fundraising. A producer of media content, entertainment, cartoons, and other art for young children in the UAE. 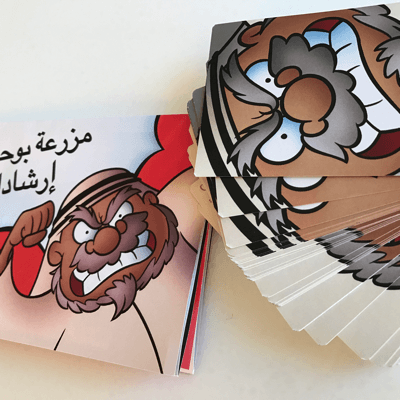 A fast, fun multiplayer card game, where the objective is to escape the clutches of "Bu7meidan," the grumpy farmer. Engineers that believe people become artists when given the right tools. 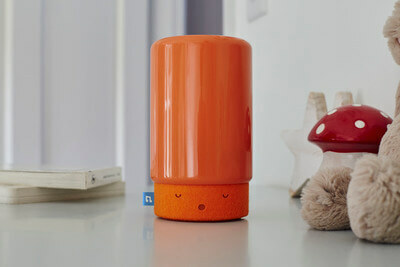 A producer of a range of cute, connected gadgets that will make life easier for families all over the world. A producer of handmade up-cycled furniture and art pieces that are inspired by Middle Eastern art. A producer of sustainable plastic wrap for food storage that is washable, reusable, and compostable. Offer artisan enterprises from all over the world access to a range of advisory services, programs, and grants. A renowned provider of artist management + development services, film + production, and music publishing. 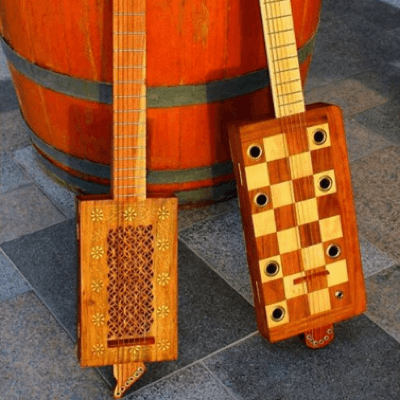 A producer of handmade stringed and percussion instruments, like guitars and cajons, made out of salvaged materials from the UAE. A fashion house and social enterprise that creates unique luxury hand bags and accessories that empower women. A multidisciplinary artist and designer who embodies the fusion of avant-garde principles and his national heritage. A designer and producer of impact-driven solutions and sustainable technologies for emerging countries. 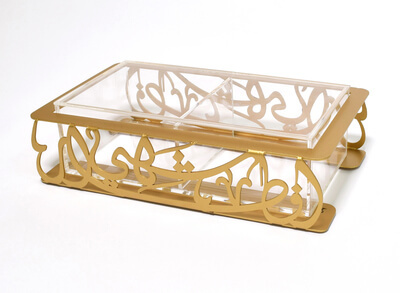 A product design studio that creates functional, bespoke design pieces that celebrate the beauty of Arabic script. 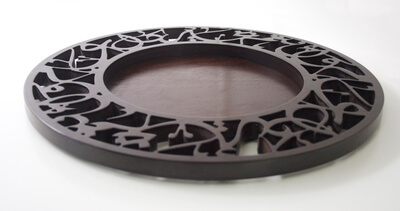 A producer of high design consumer items that combine cutting edge technology with traditional home decor. 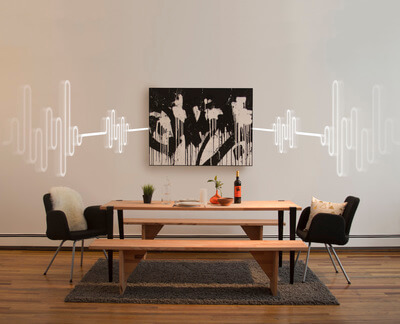 A wifi-connected, customizable piece of wall art that uses distributed mode loading (dml) to produce great sound. 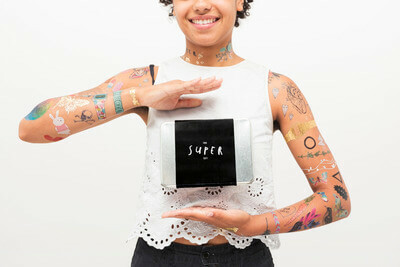 A producer of playful temporary tattoos designed to make people happy. A modern brand of miswak products and accessories that revive an ancient method of natural oral hygiene. Being an entrepreneur is taking calculated risks every day. Some big, some small but the only way to learn is to make mistakes. Just keep going! Anything worth doing is hard. I have this personal rule that when I catch myself complaining about something over and over, I need to either do something about it or let it go. In order for a design to truly endure, it must be able to solve a critical human need while tackling the bonds of several constraints. The potential impact of Jhoule inspired me to move back to India to further the development of Jhoule and design other product solutions that help address the most basic human needs. Believe in your concept. Make sure it is scalable and has enough room for innovation. Our philosophy is 'One man’s trash is another man’s treasure,' the ability to see the beauty in what is supposed to be old or trash; and the absolute creativity in envisioning the potential of such material, embracing its imperfections and creating something beautiful out of it. Australia is physically remote and lacks a lot of infrastructure that's available to small businesses elsewhere in the world. We think this tends to foster creativity and a way of doing things that focuses on the end goal but might take you 'off the beaten track' to get there. Don't worry about having a set plan for what you're doing, just focus on making something that people actually want or need and everything else will follow. the gap between local + global. we're always looking for new partners + ways to collaborate. drop us a line! to new market opportunities all around the world. min wayn is presented by Chipp'd. 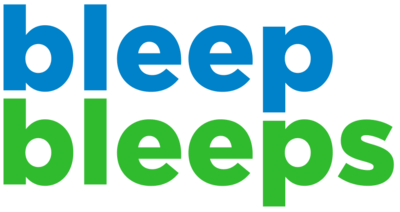 Copyright © 2016 Chipp'd Ltd. All rights reserved. 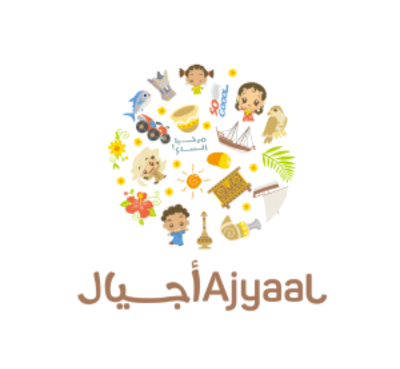 As part of Khalifa Fund and Twofour54 in Abu Dhabi, Ajyaal Media is a leading and integrated company in the field of entertainment for children in the United Arab Emirates. 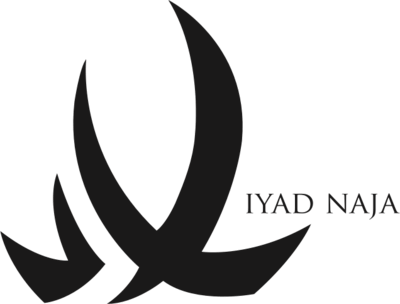 Ajyaal Media was established in 2009 and it is managed by team of young Emirati entrepreneurs in addition to experienced staff, talented artists, and passionate creators. Its mission is to develop trendy media content that promotes meaningful messages targeting youth while taking culture of the society into account. 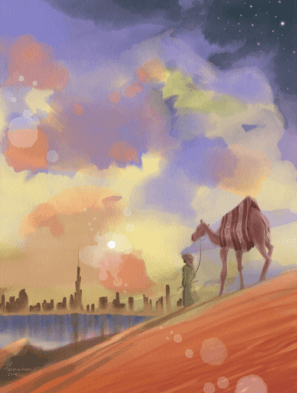 The game is based in an Arabic farm in the desert. 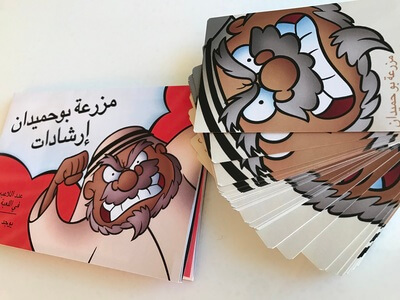 The objective of the game is to avoid being captured by “Bu7meidan”. 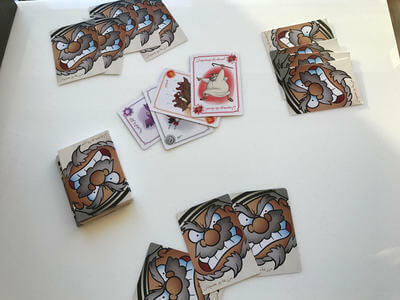 Each character and action is unique and it is up to you to play the right card at the right moment. The last player who survives wins the game. Our catchy design will leave you on edge. Expect twists and turns at every hand of the game. 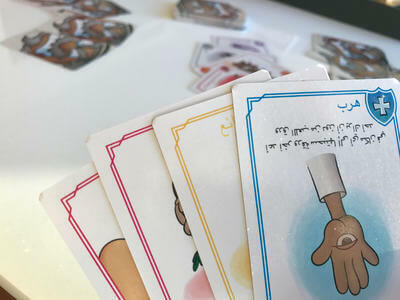 After playing over 20 different board games, creators Mohammed and Sharif came to the realization that this segment was lacking in the Gulf. There really aren’t any originally produced games from the Gulf. At the same time, they discussed how they felt society was becoming dependent on technology as a medium of fun and communication. They noticed more people on their phones and less people playing cards in cafes and Majlis’s. This is when they came up with Mazra3at Bu7meidan. A young collective of designers and engineers based out of Melbourne, Australia that believe people become artists when given the right tools. 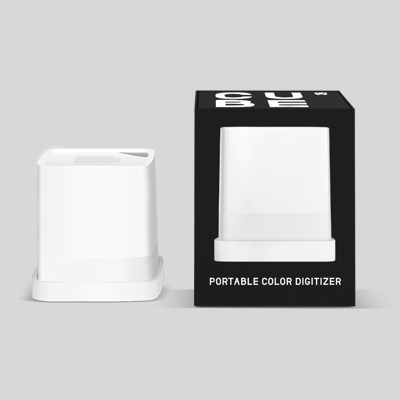 Palette’s flagship product is Cube, the portable color digitizer. 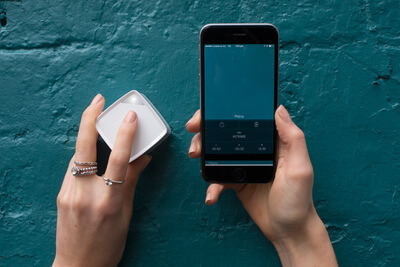 The ultimate creative assistant for anyone who works with color, Cube removes the guesswork from color matching and brings inspiration to life. 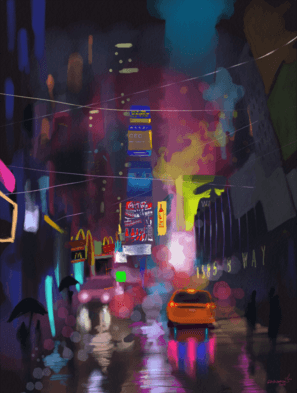 When asked about how their location impacts their creativity, the founders of Palette said, "Australia is physically remote and lacks a lot of infrastructure that's available to small businesses elsewhere in the world. We think this tends to foster creativity and a way of doing things that focuses on the end goal but might take you 'off the beaten track' to get there." 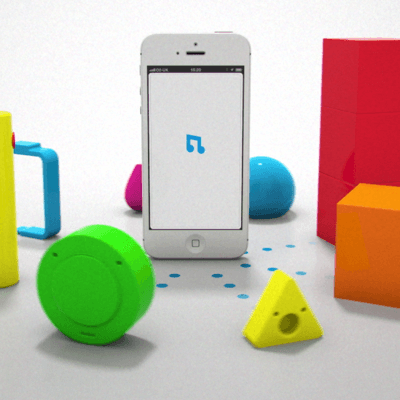 BleepBleeps: a family of little friends that make parenting easier. 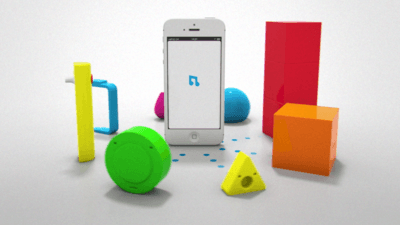 "We are fanatical about creating beautifully designed products for parents and their kids. 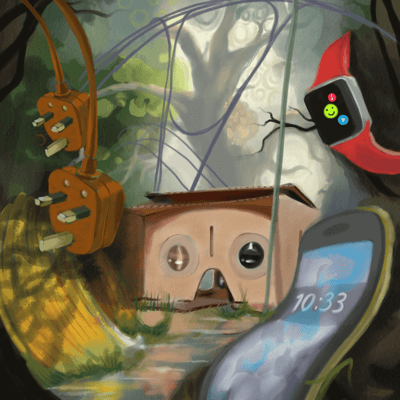 We’re making a range of cute, connected gadgets that will make life easier for families all over the world. 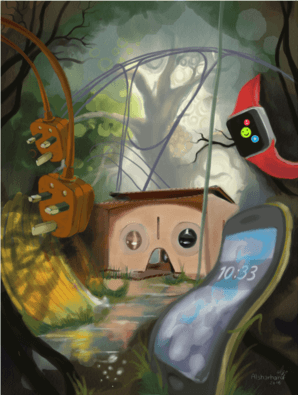 Each of our gadgets has a face, a name and a character, and they each connect to your smartphone to help with a different aspect of parenting and family life. And they each make a unique bleep bleep sound when activated, hence the name BleepBleeps! Our design language is inspired by the simple geometric shapes of kid’s building blocks with a sprinkling of Japanese vinyl toys and hat tip to the Alessi brand." 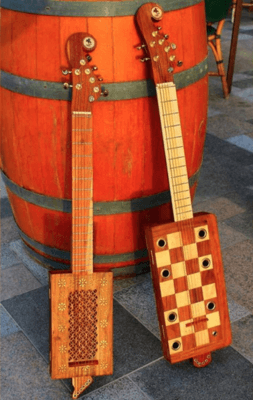 khashab means "wood" in Arabic, and for them it is the story and history of which a salvaged piece of wood can narrate to their imagination. 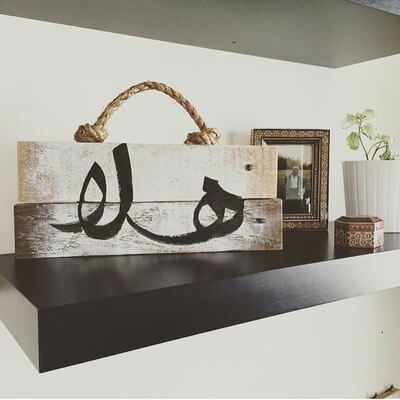 khashab produces handmade up-cycled furniture and art pieces that are inspired from Middle Eastern art, with minimalist and articulate forms that are equally multi-functional and aesthetic, fitting into the modern minimalistic lifestyle and small spaces. 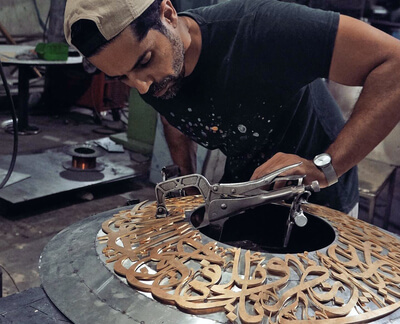 khashab’s concept was born out of a passion for recycling, reclaiming, and up-cycling with the aim of promoting a sustainable model of consumption in the design industry in UAE and the Middle East. 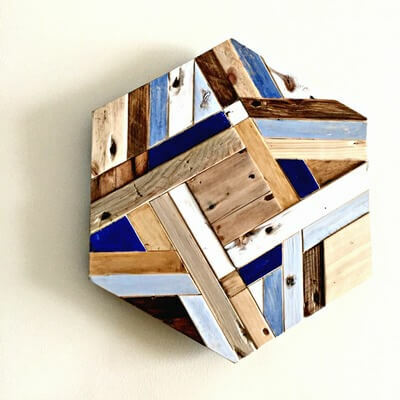 kashab's philosophy is "One man’s trash is another man’s treasure", the ability to see the beauty in what is supposed to be old or trash; and the absolute creativity in envisioning the potential of such material, embracing its imperfections and creating something beautiful out of it. 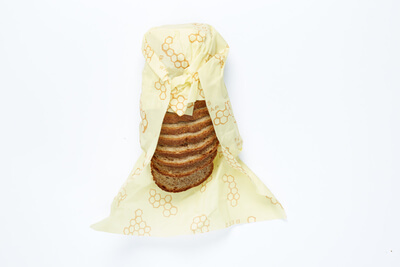 Bee's Wrap is the sustainable alternative to plastic wrap for food storage. 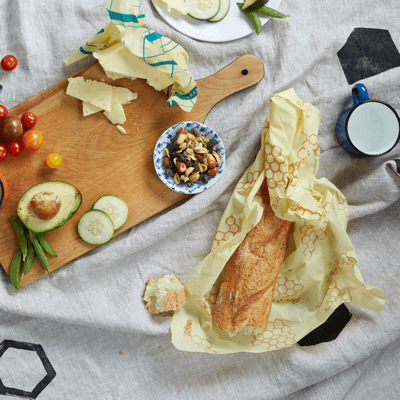 Wrap cheese, a crusty loaf of bread, and fruits and vegetables. Cover a bowl, or pack a snack for your next adventure. 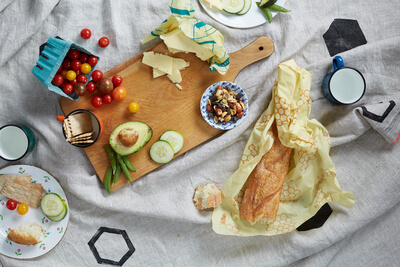 Made with organic GOTS-certified cotton, organic jojoba oil, tree resin, and beeswax from sustainably kept hives, Bee's Wrap is washable, reusable, and compostable. 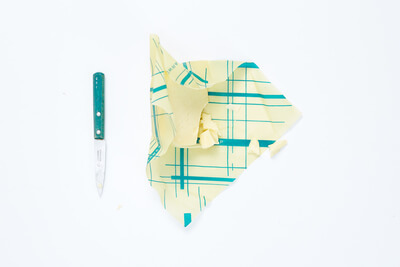 Bee’s Wrap was founded in 2012 by Sarah Kaeck, a mother of three who was seeking to eliminate plastics from her kitchen, and is now made by hand in a Bristol, Vermont workshop tucked at the edge of a winding river. 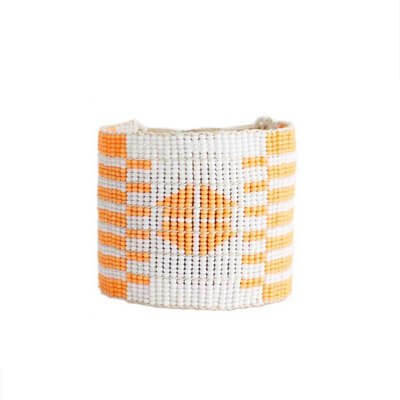 ByHand brings socially responsible artisan products to the market through a portfolio of marketing, product development and business mentoring programs using our network of consultants and advisors and artisan and buyer partners. We build relationships, strengthen entrepreneurial skills, expand markets, promote craft tradition, and encourage the sale of beautiful handmade products. ByHand Consulting, co-founded by Colvin English and Karen Gibbs, is a private consulting company offering market-based expertise to help artisan enterprises establish new markets. 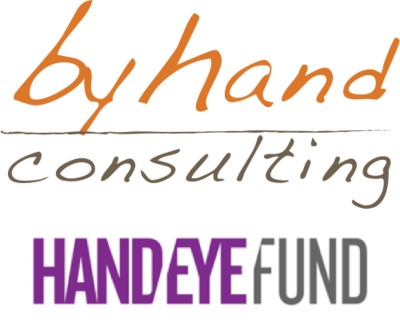 HAND/EYE, founded by Keith Recker, is a not-for-profit agency which, in addition to publishing online and in print, also works to support artisans with grants and with business development programs. 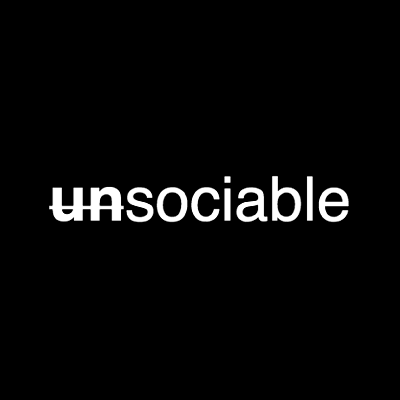 Unsociable offers an array of services including artist development & management, e-commerce, digital marketing & advertising, film & production, music publishing, and real estate. 1988 Artist Management is a boutique music management and music services firm that is dedicated to discovering and developing a diverse roster of talented artists, producers, and song writers. One of those artists includes Rob "G Koop” Mandell, who is a Grammy-nominated instrumentalist/composer and producer. Originally from Boston, Koop attended Berklee College of Music from 1997 to 2001 where he earned a degree studying guitar, percussion, and music theory. 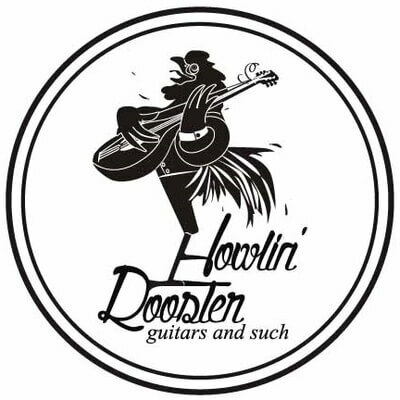 Howlin’ Rooster Guitars and Such consists of Basil, his wife Marie-Claude, and master carpenter Ranjith. 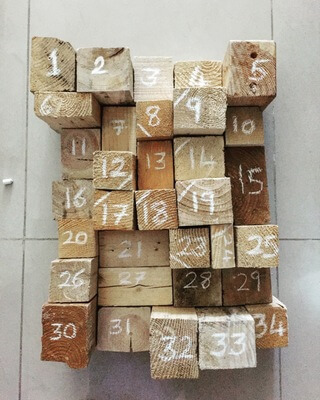 They make about 20 products, and 80% of their materials are salvaged. The operation has progressed from being a toolbox, to two toolboxes, to a closet, to an office, to a workshop that once again needs to expand to be able to fit everything. 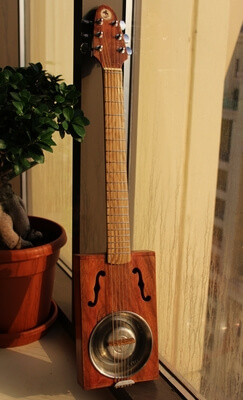 Howlin' Rooster has a commitment of passing on their knowledge by giving more workshops in the UAE that aim to teach people how to build their own musical instruments while reusing and recycling, hopefully encouraging a maker culture. 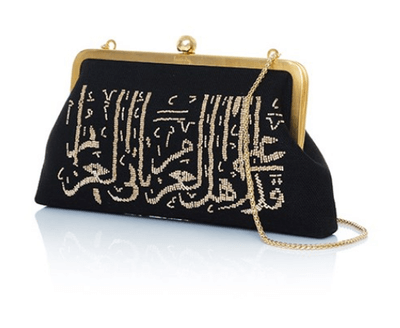 Sarah’s Bag is a Lebanese fashion house and social enterprise that creates one-of-a-kind luxury hand crafted bags and accessories that empower both the women who make them and the women who wear them. 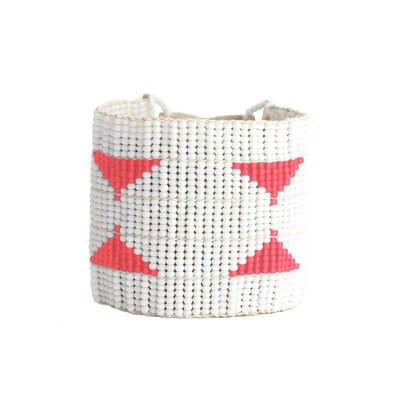 As both a fashion label and social enterprise, Sarah’s Bag works to empower underprivileged women. 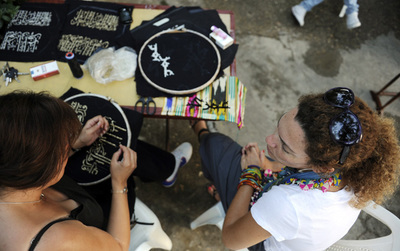 The signature hand beading and embroidery the bags are known for is meticulously crafted by a team of over 200 women, among whom are female prisoners, ex-prisoners and underprivileged women in Lebanon. Most of the designs are created to showcase their skills. Trained by the Sarah’s Bag team, they are skilled artisans in their own right and some have been with the company since it first launched in May of 2000. 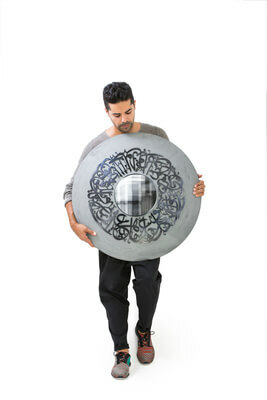 Young Lebanese multidisciplinary artist and designer Iyad Naja embodies the marriage of avant-garde with heritage. 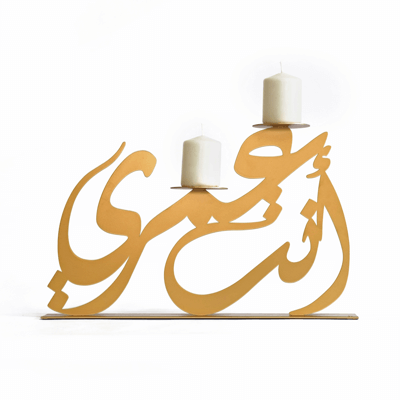 He began his career in advertising before delving into design and Arabic calligraphy. In 2014, Naja co-established a design and development firm, which he dedicated to product design and surface art. Working with furniture, including mirrors, cabinets and lights, he aims to become an ambassador of heritage and communicate his message through a plethora of niche mediums. 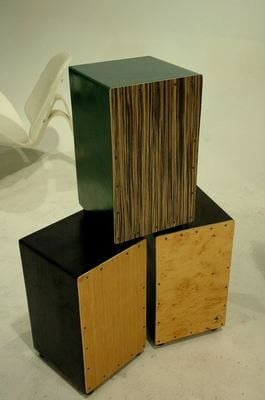 Derived from objects of daily life, Iyad Naja’s works are to be perceived as a sensory experience. 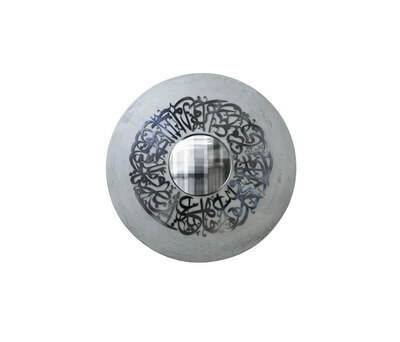 Whether a table, mirror, lamp, collage or even wall calligraphy, his art, fine and intricate, represents a stage and a single experience in the artist’s life journey. 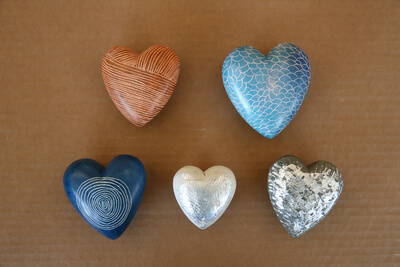 Both decorative and expressive, his pieces focus on revitalizing his heritage. His national pride and innovative spirit allow him to celebrate the everyday in the form of high art. 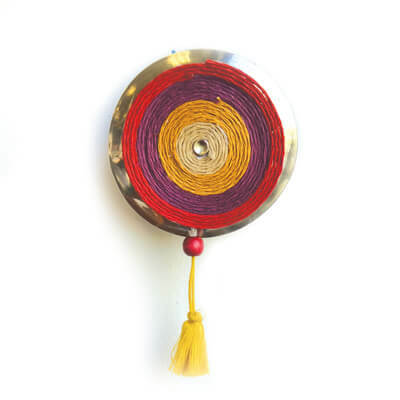 Jhoule is the flagship product of Ware Innovations, a Mumbai based interdisciplinary design lab. 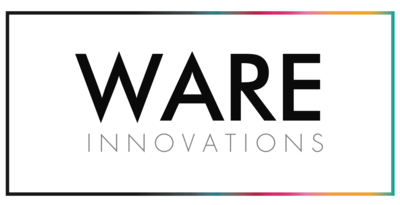 Born of the belief that beautiful and meaningful objects and experiences can touch people’s lives, Ware Innovations focuses on creating innovative and impact driven product solutions and sustainable technologies for emerging countries. The name ‘Jhoule’ is inspired by two different words; the Hindi word “jhool” which means to swing and the English word “joule” which represents energy. 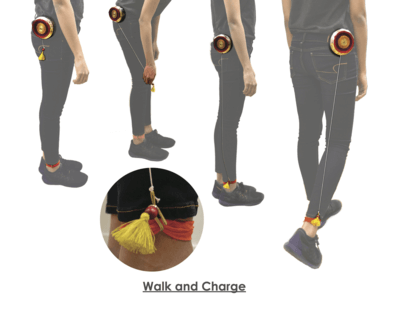 Jhoule is a human-motion powered electricity generator, powered by the swinging action of one’s limbs. 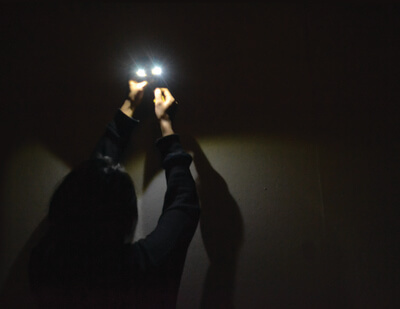 Jhoule has been specially designed to provide light to the people living in rural India without reliable electricity connections. Jhoule has been awarded the James Dyson Foundation Fund at Parsons as well as the Michael Kalil Endowment for Smart Design. 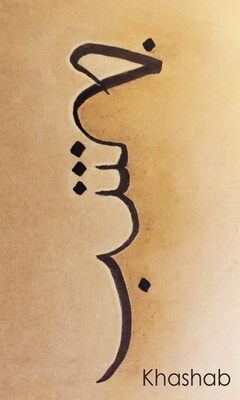 A kashida is a technical term in Arabic script referring to the bridge or elongation between two Arabic letters. 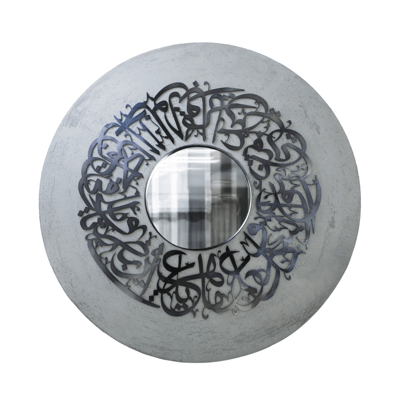 At Kashida, we bridge between Arabic calligraphy and product design. 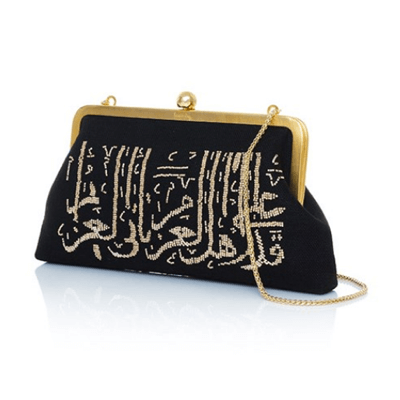 Established in September 2011, Kashida celebrates the beauty of Arabic script through functional bespoke design pieces. 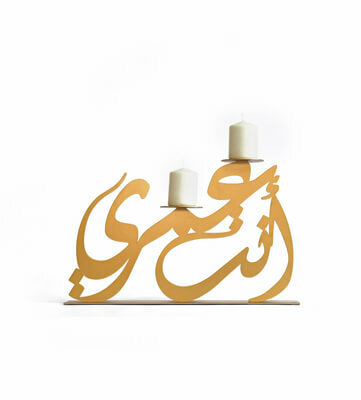 Kashida is an acclaimed product design studio creating bespoke design pieces based on 3D Arabic calligraphy. Questioning the traditional visual manifestations of calligraphy on scrolls and architectural facades, the team sought to bring these beautiful letterforms to life. Their aim was to transcend the classic ornamental approach to calligraphy by creating functional design pieces that respond to people’s ergonomic and lifestyle needs. "At Muemma, pronounced [moo-ma], we are artisans, reinventing our surroundings and the way we interact with products on a daily basis. Our works of design focus on finding the harmony between the current technological age and the traditional home and living style. With this mission, our ideas evoke nostalgic qualities while introducing modern technology to create smart products for the home." 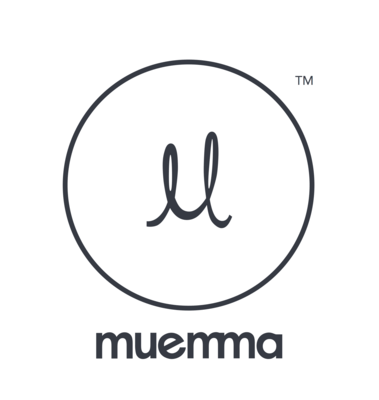 Muemma started as a collaboration among friends in the home & living industry. Adin, with his whimsical design style and eye for innovation and Sebastian’s entrepreneurial spirit and ability to foresee trending patterns, the two quickly collaborated as they grew the private collection of Westwing Germany, the largest shopping club for home and living. Though Westwing’s 15 million members were predominantly women, most electronics they offered were cold and masculine. 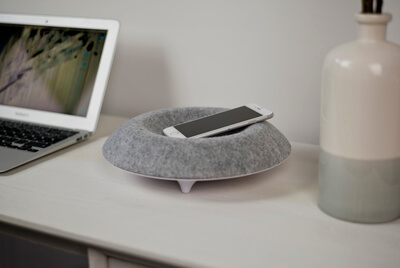 It wasn’t before long, Adin realized a lack of functional, stylish electronics fit for the home & living market and set off with the support of his colleagues to create a brand that would reimagine the technological landscape. 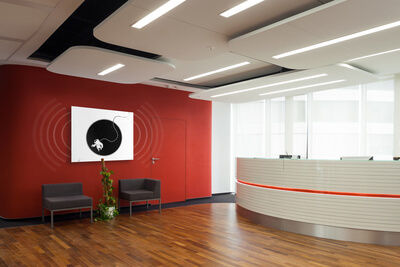 Soundwall is a whole new way to experience sound. 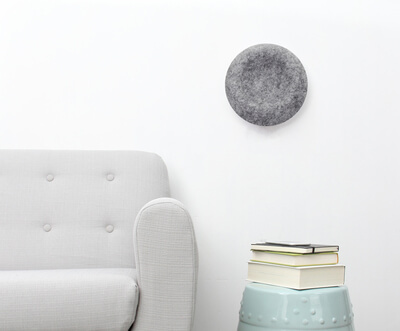 Soundwall is not a speaker. 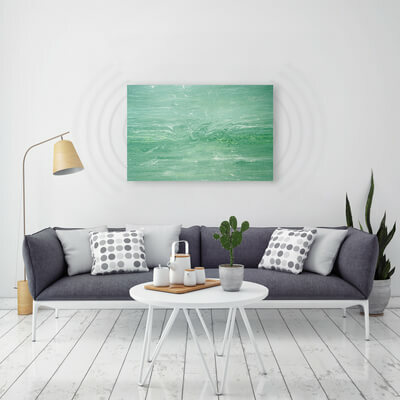 The entire surface of the artwork resonates, generating a sound that is more natural and uniform, so there is no sweet spot. 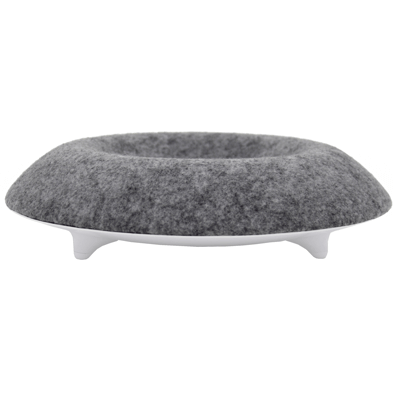 Instead, you experience great sound no matter where you are in the room. Using your phone or tablet, you can wirelessly stream music from any service, including Spotify, Pandora, and Apple Music. Some Soundwalls also come with special audio content from the artist, which can be played using the Soundwall App. 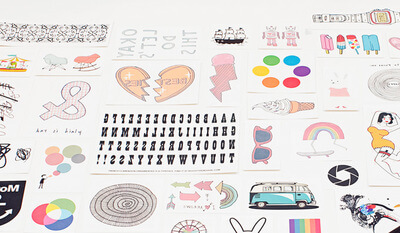 The Tattly mission: At Tattly, we believe that great design and art can make people happy. We believe that quality products and great customer support are the only options. And we believe that, whether for a child or an adult, every Tattly should come with a smile. Tired of putting poorly designed temporary tattoos on her daughter’s arm, Tina Roth Eisenberg took matters into her own hands. After soliciting a dozen world renowned artists and designers, hiring the first two team members, and learning what a temporary tattoo was actually made of, Tattly began moving at full force. 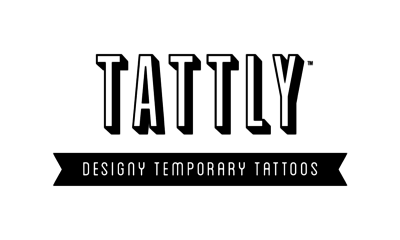 In July of 2011, Tattly launched online, featuring an all-star lineup of professional designers and illustrators. 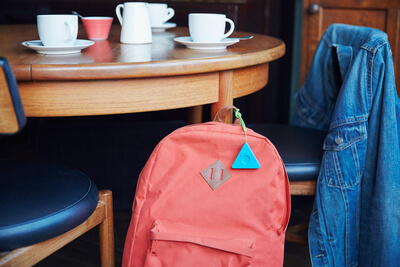 Starting with just a handful of designs, Tattly received thousands of orders from around the world. 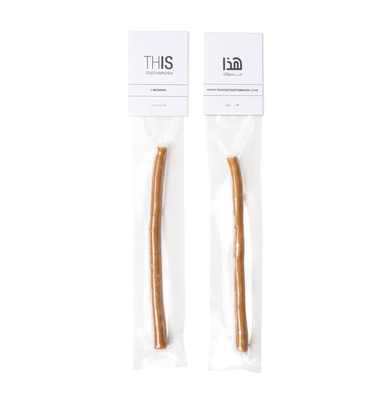 THIS Toothbrush is a modern brand of miswak products and accessories, reviving an ancient method of natural oral hygiene. 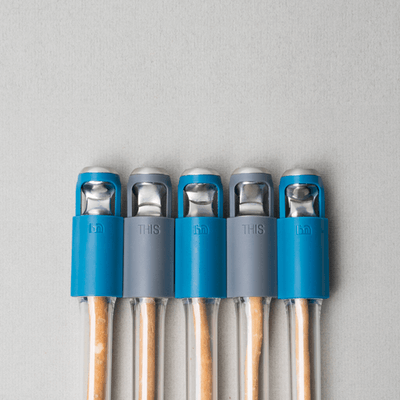 Based in Dubai, THIS Toothbrush started off as a student project by Lebanese designer Leen Sadder and took off after a successful crowdfunding campaign. 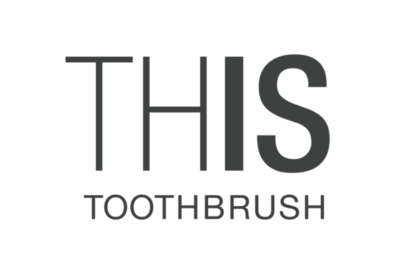 THIS Toothbrush launched its first product, the Miswak Cutter Case last year. 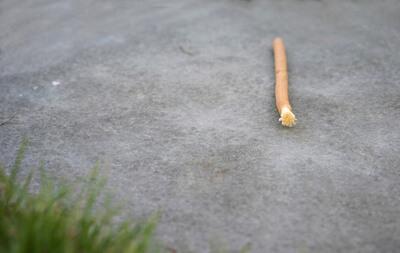 While researching the history of oral care, Leen came across the cultural and medicinal benefits of the miswak, and decided to re-introduce it to the Western world. 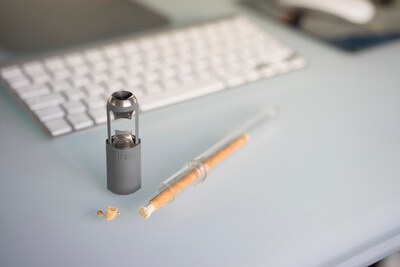 She came up with a simple name and brand and designed a prototype for a miswak holder and cutter that would make it easier to cut and carry the miswak. The prototype was the first iteration of what would become The Cutter Case.